I think this design might be one of my all time favorites. I love dragonflies and I enjoy mixing patterns. This whole thing just came together like an old song. The card can be sent for nearly any occasion, especially as an encouragement card. 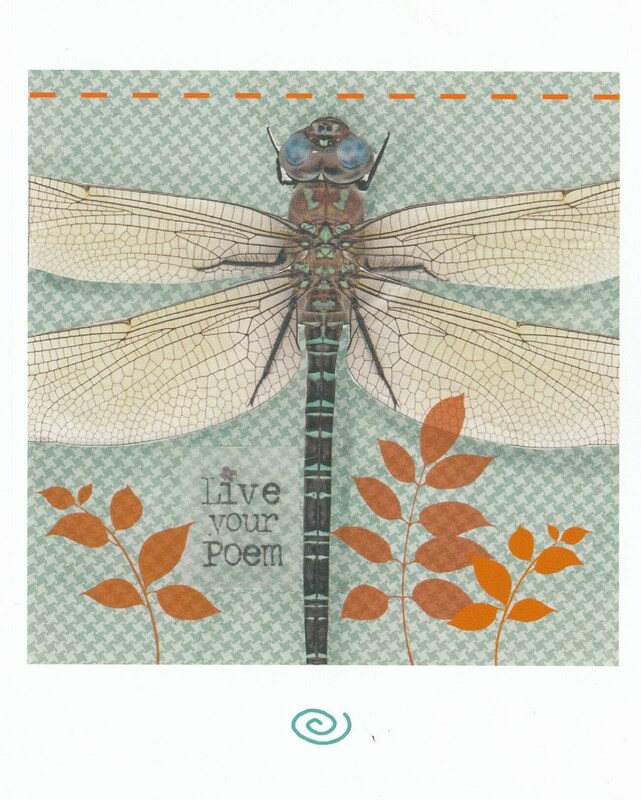 Each card measures 4.5" x 5" and comes with a matching emvelope in a cello sleeve. I love this card. It is so creative and pretty. I bought a bunch of them. Speedy delivery!